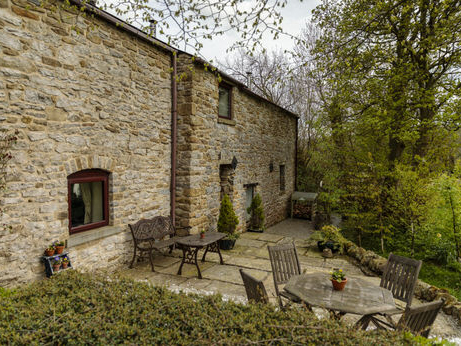 HARRY EYRE COTTAGE | Spring House Farm Castleton | Holiday cottage self catering accommodation | Derbyshire Peak District UK. 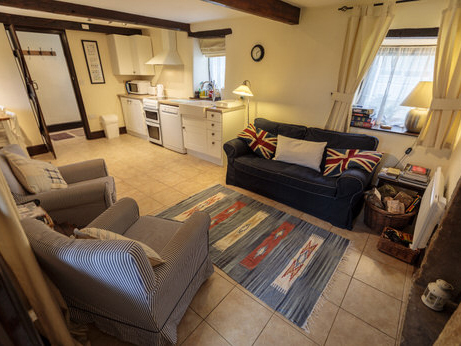 Originally built over 300 years ago Harry Eyre Cottage now provides fabulous contemporary accommodation but with the retention of many original features. 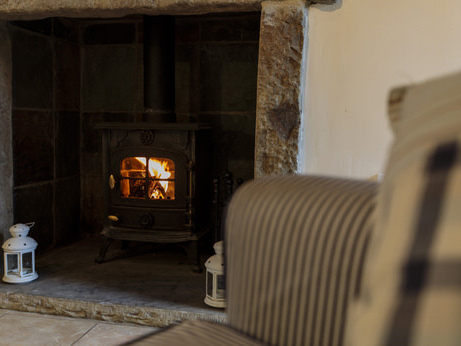 Harry Eyre Cottage is smart and cosy in equal measure and in a particularly lovely setting. 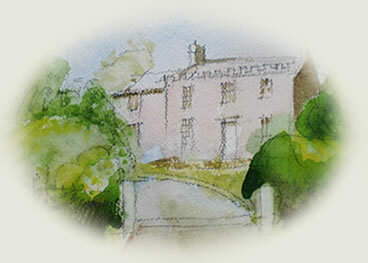 It has super views west to Mam Tor and east into the stable courtyard. 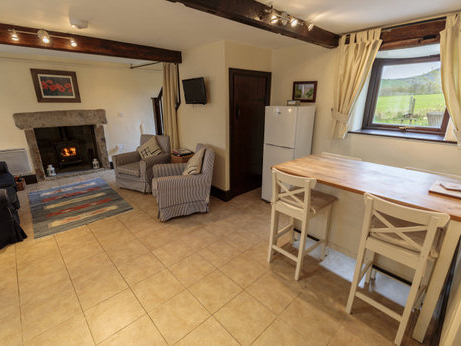 Downstairs is open plan with the kitchen, dining area and sitting room all in one space along with a log burning stove, TV and DVD. The kitchen has a four ring electric hob with grill and oven; a microwave; dishwasher; washing machine and fridge freezer. It is fully equipped with pots, pans, delph and cutlery. 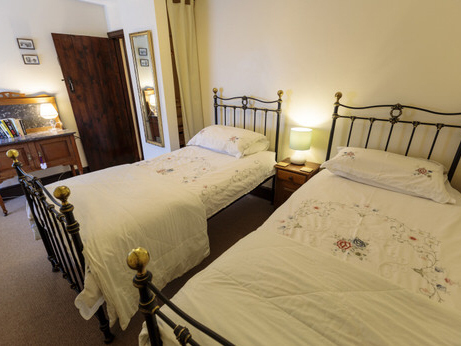 There are two bedrooms; one with a queen size double; the other with twin beds. 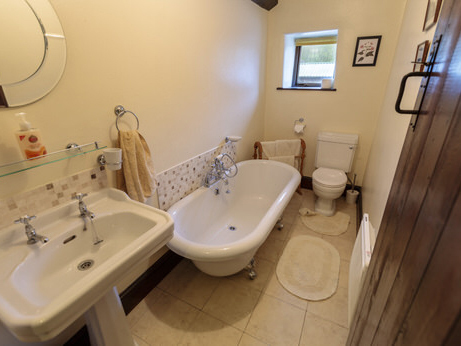 There are two bathrooms, one upstairs with an elegant Edwardian roll top bath plus wash basin and toilet. The downstairs bathroom is a spacious wet room with shower, wash basin and toilet. 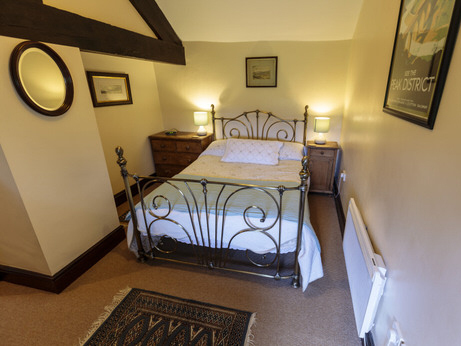 The cottage is fully equipped with bed linen and towels and is fully central heated plus WiFi Internet access. 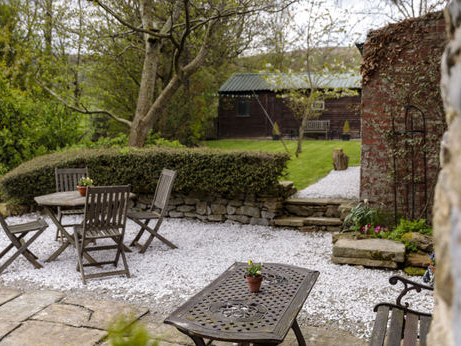 The enclosed garden is ideal for guests with dogs and offers fantastic views. A small brook runs through it and it is equipped with a garden table, chairs and barbecue and is perfect for relaxing. Well behaved dogs are welcome at no extra charge. Maximum two dogs. No puppies, young dogs, aggressive breeds or excessively large animals please! To enquire or book please call or email.